I’m not sure really whether its Martha Stewart or Martha Gardener (the wool mix lady in case you didn’t know) but I do have some handy hints of the domestic persuasion to impart on your willing ears.. This stuff is so great, I get excited just thinking about it! It cleans everything without harsh chemicals. I keep an old spray bottle filled with home-brand vinegar and use it on everything. It works and its just so cheap to buy. Stainless steel bench tops – yeah remember the smears left after the kitchen spray cleaner? – kiss ‘em goodbye! Dogs (and I suppose cats too) – sprayed onto a small towel or face cloth and rubbed vigorously over the fur, vinegar removes odours, stains from whatever was rolled in, and leaves the coat nice and shiny. For really bad stuff like rolled-in-dead-fish-guts, I spray it directly on the nasty and scrub. It’s great in winter when you can’t bath them as often. And it reduces the risk of allergies in sensitive family members because it removes pollens and traces of other animals’ saliva. Speaking of leaving coats nice and shiny, you can make a vinegar rinse for your own hair mixing it with an equal amount of water. pour directly over your hair after you’ve washed it for a fabulous shine. If you don’t have time to wash your hair but its looking a bit greasy, buy yourself some time by using the vinegar soaked face-cloth trick yourself. This works well around the front of your hair, your fringe if you have one, and along the part. Floors – it’s especially good for tiled floors, being a mild acid, and it leaves no residue behind. Glass – spray onto paper towel or directly onto glass and mirrors and wipe over with paper towel. Sprayed onto a micro fibre cloth I found this was a great way to clean the bath when Lucie was a baby; she’s struggled with eczema since she was born and the bath is THE worst place to use chemicals as the warm water opens the pores and creates an open door (puts out the welcome mat) to irritants. Of course its always best practice to a skin patch test to make sure your child doesn’t have some rare allergy to vinegar, but you don’t need to splash around gallons of the stuff. It cleans ball point and marking pen off suedette. Saved our sofa big-time, many times. 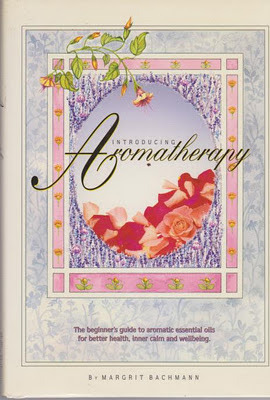 I cannot take credit for what little knowledge I have of aromatherapy – everything I have learned and enjoyed comes from the wonderful book by Margrit Bachmann: Introducing Aromatherapy. Which is still available in print. There are two oils I will not let our household run out of and those are: Peppermint Oil and Clary Sage. 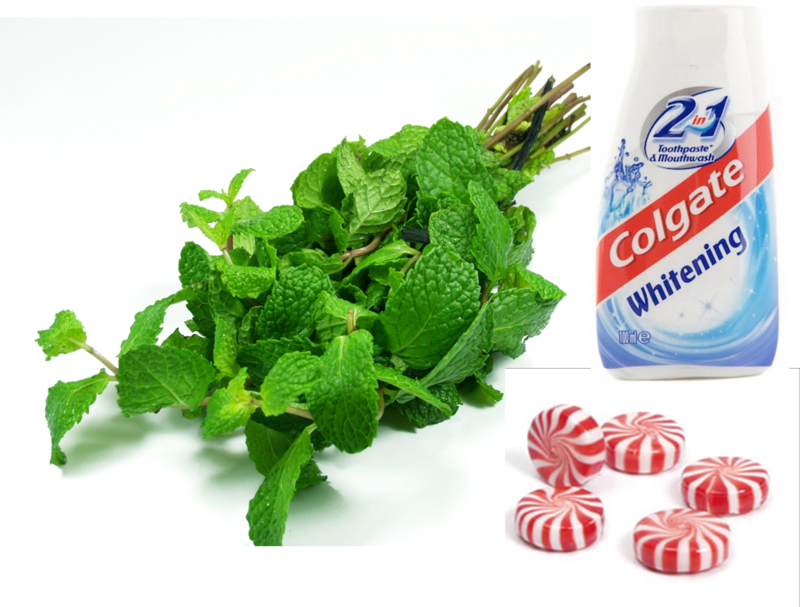 If you can get them into a bath – about a dozen drops of peppermint added to the water keeps cooling the skin long after the bath is done. Just be careful not to get the water in their eyes. I also put peppermint oil on my temples at the hair-line (not too close to the eyes) when my eyes are sore after long hours on the computer. This trick is also supposed to be good for headaches. I read years ago a beauty tip for a great facial cleanser: wait for it… toothpaste!!! Seriously, I’ve used it as a facial polish and cleanser for years, it’s lovely and refreshing and my skin is in great shape. Now it’s only after re-reading Margrit’s comments about blackheads that solves one mystery; my darling niece recently asked me why I don’t have any, well apparently that’s the reason. “Effect on the mind: Aids concentration and memory. Stimulates the brain to think clearly, encouraging a fresh and bright feeling. Excellent for mental fatigue and depression.” Oooh excuse me while I go put some on my temples – I must have missed that on the first reading.